Fast Efficient Emergency Drain Services. The Experts in Drain Survey Inspections. DO YOU HAVE A DRAIN EMERGENCY OR NEED DRAINAGE REPAIRS CARRIED OUT? We offer a wide range of domestic and commercial Drainage services throughout Dublin. 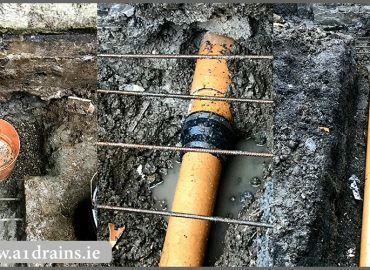 A1 Drains is a successful drain cleaning and drain repair company working throughout Dublin City and the surrounding Area’s. We carry out both emergency works and planned maintenance works in prominent commercial areas such as North and South Dublin as well as retail parks and industrial estates and many domestic premises. 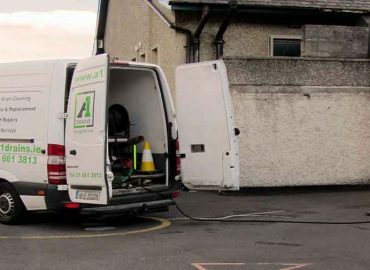 With more than 30 years’ experience of clearing blockages in sewers, rain water drains plumbing pipes etc, A1 Drains services are a premier provider of Dublin drain cleaning and drain repair services. We have a variety of methods available for dealing with Dublin drain cleaning and plumbing problems including Drain Rodding, Electro-Mechanical Cleaning, High Pressure Drain Jetting. Many of our clients now choose to opt for a planned drain cleaning and plumbing maintenance programme. 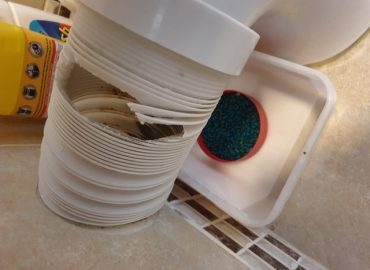 These regular drain cleaning visits greatly minimise the risks of drain and plumbing blockages. Of course, if you are experiencing a blocked drain right now we can help. Call us today and we’ll get an emergency team out to you right away.